Businesscycle was launched at the House of Commons today. The project replaces the Cycle to Work Guarantee initiative. Julian Huppert, MP for Cambridge, and Olympic gold medallist Chris Boardman, have this morning hosted a breakfast launch of Businesscycle, the new, shorter name for the Government’s Cycle to Work Guarantee initiative. This initiative was created by the Departments of Health, Transport and Culture in 2009 and was a promotion to encourage major employers to sign up to the salary-sacrificing Cycle to Work scheme. 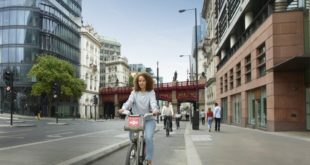 Businesscycle is being led by Business in the Community, in partnership with Transport for London, British Cycling, the Cycle to Work Alliance and the Department for Transport. The rebranding is a sign that the Cycle to Work scheme is not due to chopped by the Treasury, which would be a disaster for the bike trade and Cycle to Work scheme facilitators. Huppert, co-chair of the All Party Parliamentary Cycling Group, introduced Norman Baker MP, Minister for Transport, who formally announced the rebranding of the scheme. Companies at the launch included NHBC, B&Q and Halfords. Employers already signed for Businesscycle include RWE npower, BskyB, GlaxoSmithKline, Microsoft, PwC, Ernst and Young, Eurostar, Heathrow, Gatwick and Birmingham Airports and Hutchison Ports. Businesscycle – branded with a lowercase ‘b’ – will provide information on cycling, including the health, social, environmental benefits; providing information on how to access cycle training; implementing secure cycle parking and highlighting the importance of good locking practice and bike registration which are often cited as barriers to cycling. "It’s the environment that will make it safer. The Government need to get more people riding bikes. 300 miles away in Denmark people are riding bikes in their suits on their way to work, for leisure, and everyone is happy. We need to change the philosophy around road design." 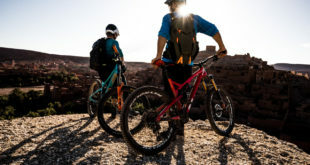 Major employers that sign up for Businesscycle will have access to offers for themselves and their employees, such as discounts on cycle parking, British Cycling membership and cycle security kits. "Through its ways2work programme, BITC has been working with businesses to influence sustainable commuting and business travel. We are now delighted to be a Businesscycle partner and part of what we believe will be a resurgence of cycling as an efficient, healthy and equitable form of transport benefiting people, businesses and communities across the UK." "It is great to be working with such supportive partners and inspiring businesses – NHBC and B&Q are showing what organisations can do to engage their employees and help change their travel behaviours and it is good to have so many other influential UK businesses supporting the launch including amongst many others. 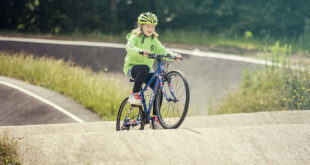 They are fantastic examples of businesses already benefitting from their investment in cycling and now keen to share their learning with businesscycle members."